With the name Durabella we really work hard to live up to our name, Durabella stands for durable & beautiful, and we mean that start to finish with our process, planning and installation or delivery. Austin Design has been providing clients with professional and comprehensive design services since 1985. Our focus is to assist our clients in expressing their own unique and individual style, which best suits their budget and lifestyle. Specializing in all phases of interior design, from in home consultation to complete redesign, remodel or design & build, providing design advice for every aspect of your home or office. Austin Design can assist you with conceptual design and specification and/or purchase of custom furnishings, lighting, window, wall & floor coverings, color selection, space planning, kitchen & bath design, artwork and accessories, as well as, many other resources available to the design trade. In addition, we work with many talented craftsmen and artisans, who bring a high standard of workmanship and creativity to the project. Austin Design is genuinely invested in creating uniquely beautiful spaces for our clients, while making it a postively rewarding experience. Offering friendly service, built on building and nurturing long term relationships, resulting in a loyal clientele which returns again and again. With over 27 years experience, Austin Design has a long, reliable history of providing clients with a perfect blend of creativity and experience, while bringing the project of highest standards to fruition. Catherine holds a Bachelor of Fine Arts Degree in Interior Design, Syracuse, NY, is a member of ASID, IDG and is a Certified Interior Designer #2497.
Pegasus Refinishing is a small, local, family company, in business since 2006. 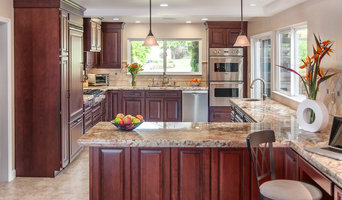 We specialize in cabinetry- we refinish, stain, paint cabinets, & build and install custom drawers, rollouts, and more! With 30+ years of experience, calm demeanor and ability to listen, Ross feels that kitchen design is part design sense, part determining client’s needs and part guide to the best products & services. We have many requests when it comes to home design & every family is different. We are here to guide you through the design process & take your project from concept to creation with ease. Design Matters is an established showroom in downtown Los Gatos. We are a team of designers dedicated to providing homes that are a delight to live in. We work hard and utilize many years of experience combined with varied expert level skill sets to provide all aspects of high end interior design and custom cabinetry. I am a trusted adviser to clients with space challenges and storage issues. I design spaces for my clients; created for them, their abilities, needs, and goals. 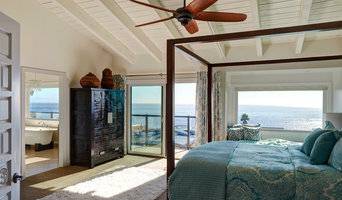 AWARD WINNING Bay Area INTERIOR DESIGNER. BEST of HOUZZ 2019, 2018, 2017! Charisma Design is a full service Professional Interior Design Firm serving clients throughout the Bay Area and the country. Specializing in high-end luxury residential design with diversification in various design styles, scopes, and budgets. Located in the town of Los Gatos, nestled amongst the rolling green hills of Silicon Valley, California, Charisma Design's professional office is fully equipped with the latest resources to bring your design dreams to reality. Charisma Design has far reaching experience with million dollar ground-up new home construction projects and interior remodels, giving its founder, Courtney, an extensive background from programming, purchase orders, and design through project management and project completion. Along with this, Charisma Design brings a team of qualified local vendors and professionals to provide all encompassing services to each client's unique project need. VT Construction Inc. is a general contractor specializing in residential construction. Founded in San Jose over a decades ago, we take pride in meeting and exceeding the needs of our clients. ABOUT ROUSSEAU DESIGN Ben Rousseau is an award-winning British designer based in Silicon Valley, renowned for creating unique visionary state-of-the-art custom homes, for modern tech-savvy individuals and their families residing in the Bay Area. Ben and his team have a proven track record of delivering high quality projects featured in many international publications, including Elle Decoration, Darc Magazine. Ben founded Rousseau Design in 2001, and over the last 17 years, Rousseau has created a slick interior design process; taking clients on an exhilarating creative journey. With unrivaled attention to detail from concept to delivery. Rousseau Design prides itself on a fully collaborative approach ensuring alignment with the client and other stakeholders such as architects and contractors. OUR PROCESS With Rousseau Design every project is unique, however the approach is always the same; we spend time with you, we get a feel for the space and its surroundings, we listen to your vision and requirements. We then assimilate, conceptualize and develop a functional design concept. Once a concept has been created, next, the design undergoes various iterations, until all parties are thrilled with the results. Stylistically, Rousseau creates drama and desirability, while balancing usability and functionality in his designs through the use of lighting, technology and materials. Rousseau’s modern aesthetics; the clean European style, and individualistic modern contemporary design come to life through the use of quality materials and precision craftsmanship. Typical Project Budget: $25,000 - $500,000 Single rooms around $2000 design fee with $10000 - $50,000 in materials. 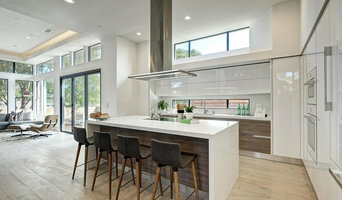 Typical Kitchen designs about $3,000 - $5,000 design fees and $50,000 - $500,000 for high end manufacture and install. Bathroom designs about $3,000 design fees with about $30,000 install going up to $50,000 and $100,000. Full house refurbishments tend to work out about 15 - 20% of budget. Alexis King views each design endeavor as an opportunity for both herself & the client to realize a vision, together. Achieving sublime, yet thoughtful design is a product of both listening & guiding. Cabinets and cupboards are crucial organizational components of any kitchen or bathroom. Yet, for such an essential element, homeowners often compromise on their cabinetry, settling for cabinets that neither complement their style or meet their needs. Custom cabinetmakers in Los Gatos, CA has the transformative power to create a practical yet personalized space unique to you by creating custom cabinets that have all the storage elements you need as well as the stylistic ones. Custom cabinets have the benefit of being designed specifically for you in terms of both appearance and usability. When it comes to stock cabinetry, you are limited to generic, cookie-cutter designs, dimensions and colors, which isn’t ideal for outfitting a uniquely shaped kitchen or for showcasing your personal style. Custom cabinets are solely crafted based on your specifications and needs, and while they are pricier than pre-made pieces, you’ll receive a higher level of craftsmanship and durability when you work with a professional on Houzz who specializes in custom cabinets in Los Gatos, CA. Create an ideabook on Houzz and save examples of the custom cabinets you want — this will help your Los Gatos custom cabinetmaker get on board with your vision and make your design a reality. Additionally, if you are undergoing a remodel, keep in mind that a blueprint needs to be finalized prior to any kind of cabinet building and installing; given the one-of-a-kind nature of a custom cabinet, room dimensions need to be completely finalized before any work can commence.